Dall sheep ewe, Wrangell - St. Elias National Park. 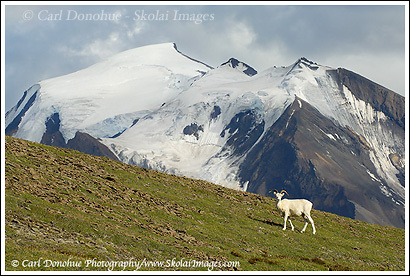 Dall sheep ewe, Wrangell – St. Elias National Park. A dall sheep ewe stands on a ridge above the Chittistone Valley, in Wrangell – St. Elias National Park, Alaska.